Nickelodeon really wanted their logo plastered on the box like an eyesore. Every panel has their stupid sign and really detracts from the box. Bright orange on a dark background. Well whatever gets these guys out and hope NECA will be allowed to do more Turtles in the future. Come on Shredder and Super Shredder. You are long over due. Heck lets get some 18" cartoon Shredder's while we are at it. Hope that they manage to catch that they used the wrong "waiting/wading" and can correct it before printing thousands of these up! Wow. Wow. Wow. Wow... Wow. They can't get these out fast enough. I don't even have Donatello yet and I already want the others. We know you have them! Just release them all!!! Last edited by Bearjew; 11-08-2016 at 09:23 PM.. I'd kill for standard 7" versions of these. Damn. 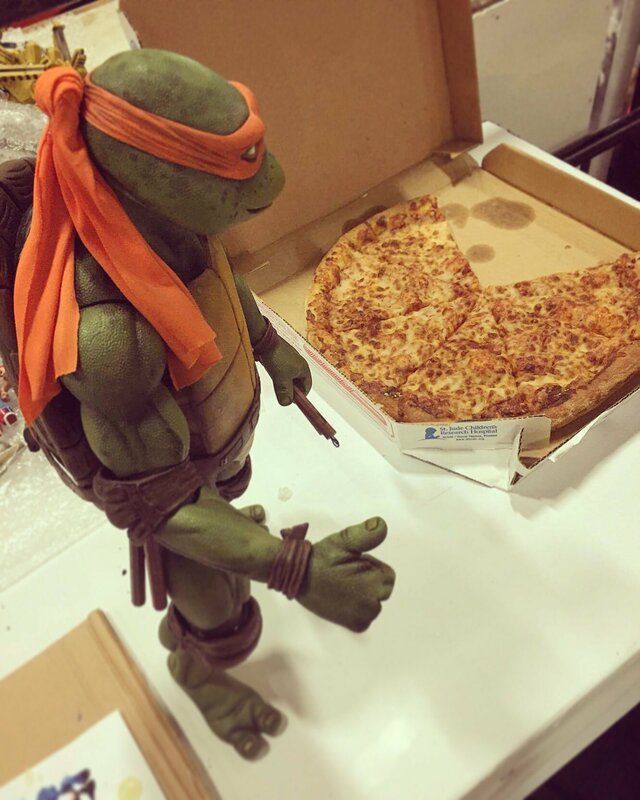 Last edited by Bearjew; 11-10-2016 at 01:19 PM..
As many times as I have seen this movie, as both a kid and an adult, I never noticed that Raphael has a scar on his face until now. An incredible amount of detail here...I wish I had the space for these, because they have all blown me away thus far. So would I! I simply don't have the dough nor the space for these, but they sure are pieces of art. Last edited by Gunathar; 02-19-2017 at 06:30 PM.. Yaaas!!! I have been a diehard Raph fan ever since I layed my young, impressionable doe-eyes on my very first TMNT ep all those years ago, and the 1990s movie only solidified that for me! I think I had almost every variant of Raphael released when I was a kid, as well as the standard classic cartoon Raph and the awesome, rubbery "Movie Star" Raph. Just these last two years alone have provided an almost unprecedented wave of updates to all of those old-school versions and more! "You gotta understand whata crumpet is, ta understand cricket!" Raph 4 Life. NECA 4 Life. Turtles 4 Life. Last edited by Joelston; 11-10-2016 at 07:14 PM.. Please scale these down, NECA. I had the same figures! All Raph of course. My children still play with mine. I had the Movie Star Raph 13 inch figure as a kid and it is in the floor right now, my kids still play with it. These are so awesome. I have been waiting for the Raph since I saw these were being released. I just knew that it would be the very last one but second isn't too bad! It looks better than I could have hoped. Raph is easily my childhood favorite, and the 1990 movie is my favorite version. Couldn't ask for any better than what NECA had done here. I don't collect 1/4 scale anymore, but I can't pass this up. Here's hoping for a Casey to go with him. I think a Tonka would be awesome! But don't you have to go for the shredder next? Last edited by Bearjew; 11-10-2016 at 11:17 PM.. Yes I know right! My three year old son plays with my old Classic Cartoon 13 inch Raph!!! Small world huh! I missed out on the 13 inch Movie Star version and always regretted it, but the 6 inch Movie Star Raph I had was one of, if not my most favourite Raph in my collection for years! These new NECA ones look like they may finally take the top spot of best Turtle figures ever produced though. Totally agree with everything you said. A Casey Jones and April, if NECA could get the rights to those actors likenesses, would be insane! you mean Tokka right? As for Shredder, I would definitely want Shredder, but Casey would go perfect with Raph. Hell yeah! I hold out hope that NECA will eventually make a Casey Jones. and Casey should come with the Jacket and hat for Raph! TRU is showing Donatello for pre-order. Showing a shipping date of Dec 21. 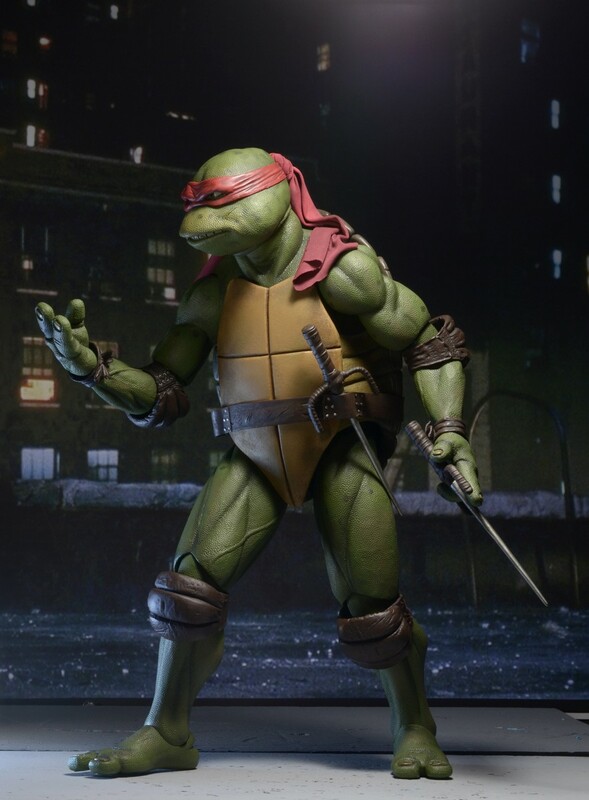 I also saw Raph up for pre-order, estimated shipping of February. When are these guys going to get here?! Last edited by Bearjew; 11-11-2016 at 11:59 AM..
Neca's calendar updated, it shows that Donny is expected for Dec. 12th, So I would say the wait for him is almost over. I just hope we don't have a 2-3 month delay for any of the other turtles. 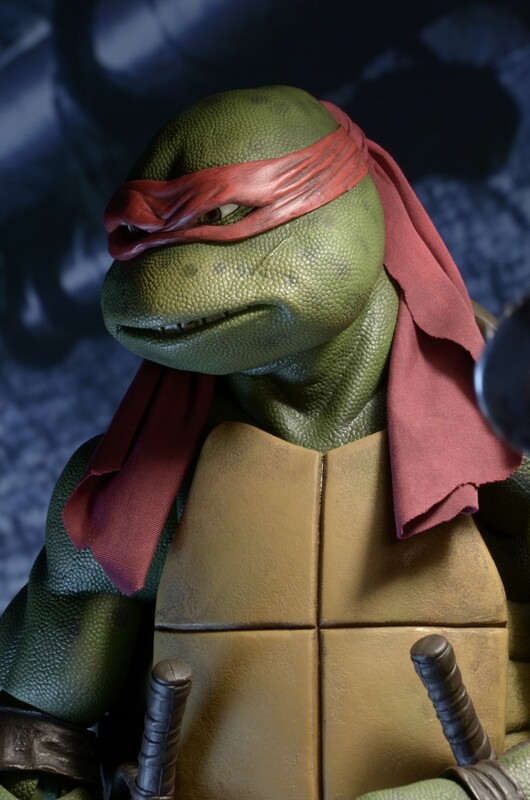 Raphael is listed as releasing in February, and NECA stated "1 turtle per quarter"
I imagine the delay for Donnie delayed them all. Let's just hope the one delay is all we'll see. I believe that to be the case. Randy has said that they wanted to make sure everything was perfect, and once it was there'd be no problems. Also, there was a considerable amount of time waiting for Nickelodeon's approval for the packaging. That's done, so it should be full steam ahead.